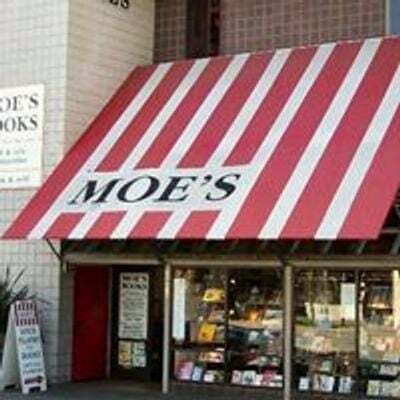 There will be a reception upstairs at More Moe's one hour before the reading. Meet the poets, have a glass of wine, and browse the shelves! Alan Bernheimer’s latest collection of poetry is From Nature (Cuneiform Press, 2019). Recent work has appeared at Across the Margin and at SFMOMA’s Open Space and in The Equalizer, The Delineator, and Hambone. The Spoonlight Institute was published by Adventures in Poetry in 2009. Born and raised in Manhattan, he has lived in the Bay Area since the 1970s. He produces a portrait gallery of poets reading on flickr. His translation of Philippe Soupault’s memoir, Lost Profiles: Memoirs of Cubism, Dada, and Surrealism, was published by City Lights in 2016. More information is at The Electronic Poetry Center. 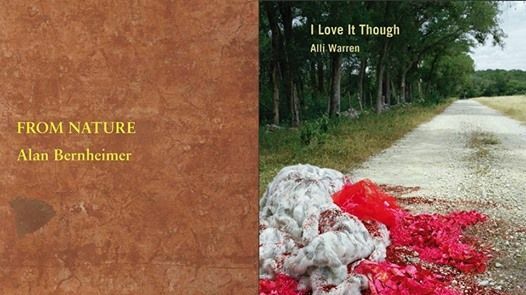 Alli Warren is the author of I Love It Though (Nightboat), which was nominated for the California Book Award. 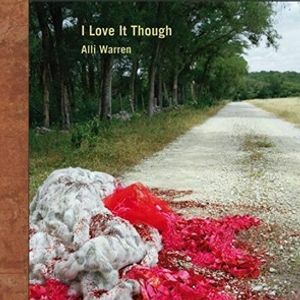 Other recent publications include Little Hill (The Elephants), Moveable C (Push Press), Don’t Go Home With Your Heart On (Faux Press), and Here Come the Warm Jets (City Lights), which was nominated for the California Book Award and won the Poetry Center Book Award. Her writing has been published in many venues, including Harpers, Poetry, Jacket, The Brooklyn Rail, and Feminist Formations. Alli has lived and worked in the Bay Area since 2005.